As a highly qualified Pilates instructor with over 15 years teaching experience, Alissa brings a heartfelt, and genuine sense of caring to her teaching along with a cheerful and upbeat personality. Her goal is to educate her clients with a deeper understanding of alignment and use of breath to help them gain greater access to their physical well being. Her belief that knowledge, common sense and personal responsibility are important to achieving and maintaining physical, mental and emotional well-being is evident in her down-to-earth, humorous, and sometimes unconventional teaching style. Specialties: Dealing with injuries and illness, Alignment and Breath, Movement Education, and Whole Body Conditioning. Philosophy: The Body has remarkable intelligence. When it receives what it needs, wonderful things happen. Delphine Blue majored in Theater Dance at Skidmore College but ended up with a lengthy radio career. She took her first Pilates class in 2004 and eight years later Delphine completed a 500 hour certification in classical Pilates. She sees the Pilates method as a challenging but safe way to improve core stability, postural alignment, circulation, and balance while toning and lengthening musculature. Her goal is to provide clients with a Pilates ‘aha’ moment. Delphine loves to teach on various apparatus including the reformer, tower, cadillac. jumpboard, and wundachair. Mary has a background in ballet, which she has studied for over 30 years. She has also studied modern dance, yoga and Argentine tango. 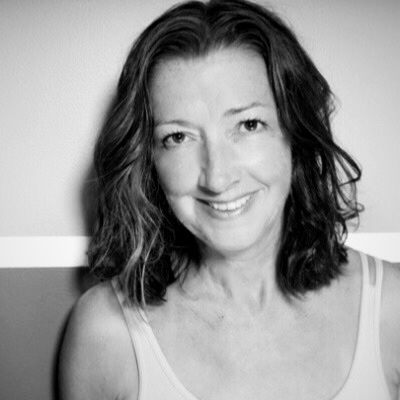 At Elite Body Pilates Mary teaches private and group Tower, Reformer and Mat classes. She is also certified as a Prenatal Pilates teacher and very much enjoys working with pregnant women. Teaching Style: Stressing and carefully explaining the core principals of Pilates and then building up her client’s strength to go on to more advanced work. Kara, born and raised in Columbus, Ohio, moved to New York City after high school and graduated from New York University’s Tisch School of The Arts. While living as an actor in the city and trying to get in shape, Kara discovered Pilates. She became so enamored with the amazing and lasting effects of the workout, she knew right away she had to share it with others. Kara has taught at several of New York City's top Pilates studios for over 6 years, working with a wide range of clientele that includes professional athletes, celebrities, seniors, pregnant women, children, those recovering from injury, and more. Kara is a Certified Pilates Instructor with multiple certifications, Prenatal Fitness Instructor and Certified Holistic Health Coach. She is so thrilled to be able to share her love for fitness, food, and healthy living with others every day! Teaching Style: Combining the traditional principles of the Pilates method with an upbeat, athletic edge to help keep clients interested in and challenged by their workout every time. "Take care of your body, it's the only place you have to live." Alexandra discovered her love of movement at a very young age, training in Modern, Jazz, and Ballet. She continued dancing while earning a Bachelor of Science from Syracuse University in Hospitality Management. She became certified in Zumba and now has over seven years of teaching experience. Alexandra has always considered herself to be a “people person” and wanted to continue working in fitness, but in a more personal environment. Pairing her passion of teaching with her desire to positively impact a person's life through movement made becoming a Pilates instructor a natural fit. She completed her 600 hr apprenticeship at Core Pilates NYC where she fell in love with the Pilates method and its ability to safely improve core stability, postural alignment, and balance. She is thrilled to be an instructor at Elite Body Pilates and looks forward to working with you! Teaching Style: No matter how different people are in their day to day living, Alexandra encourages her clients to honor the classical Pilates principles and enjoy the positive results that come from a strong mind and body connection. Alexandra brings her cheerful and upbeat personality to her teaching and strives to empower clients to live happy and healthier lives. Andrea is a classically trained Instructor with a modern twist. Her main focus is form in all her sessions. When working with Andrea she will take the time to make sure you have the proper form from beginning to the end of your session. She will be challenging you the whole time with small movements that focus on deep muscles that are often missed during other workout regiments. Andrea takes the time to gear every session to her clients needs. You will find yourself getting stronger and moving more efficiently after working with her. Teaching Style: Specializes in working with Pre and Post Natal, older population, and assisting people who have injuries or are reviving from a recent injury.